The actress and her family are mourning the man her sister called an "adorable scamp, handsome devil, and trickster to the end." 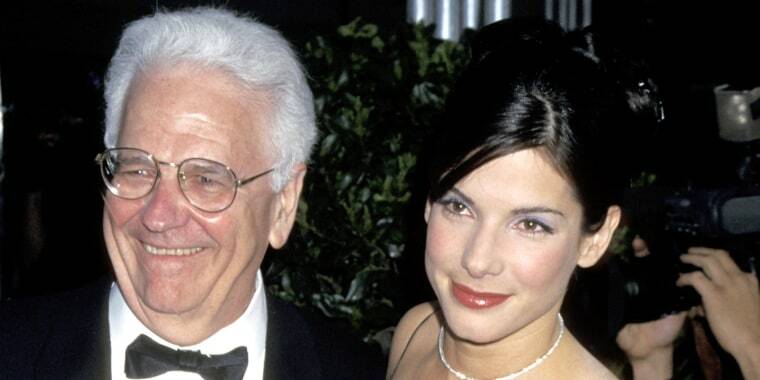 Sandra Bullock and her family are mourning the loss of her father, John W. Bullock. A source confirmed to TODAY that the Oscar winner's father died Tuesday at the age of 93. The 54-year-old star's sister, pastry chef and author Gesine Bullock-Prado, posted a tribute to their dad, a World War II vet, on Instagram following the loss. "John Wilson Bullock, February 11, 1925 - September, 18 2018," she wrote. "Beloved baby brother, American #WWII #bronzestar #veteran, husband, father of 4 strong women, #grandpa, adorable scamp, handsome devil, and trickster to the end." That sweet summary of his life accompanied a collection of family photos that spanned his childhood, his service during World War II, his marriage to the late Helga Mathilde Meyer and more. Photographer Bryan Randall, the longtime boyfriend of the "Ocean's 8" actress, also shared a message on Instagram that revealed John W. Bullock was "surrounded by family and friends" at the time of his death. The photo showed Bullock sporting a big smile while he held up a sign that read, "No bull---- allowed." Randall added the hashtag "#thankyouforyourservice," as well as this post-script: "Hey God, we're sending you a live one!" Sandra Bullock's mother, a German-born opera singer, died in 2000 at the age of 58. Her parents met while her father was serving in the Army and stationed in Nuremberg.